"Dataset for Change in Carbon Storage for Cold Desert Ecosystems Contro" by David P. Huber, Kathleen A. Lohse et al. Dryland ecosystems are experiencing more variability and extremes in rainfall and disproportionate shifts in plant community composition, both likely to alter soil carbon (C) cycling and storage. Despite these trends, we lack long-term experimental data that facilitates predicting shifts in ecosystem function with climate change. This dataset records changes in soil organic carbon (SOC) and inorganic carbon (SIC) storage in the top 1 m of soil profiles following 19 years of experimental manipulation of rainfall and vegetation within a cold-desert ecosystem. A split plot design was employed (n = 3) and included 1) contrasting vegetation types (split plots), either native Artemisia tridentata spp. tridentata (big sagebrush) communities or monocultures of Agropyron cristatum (crested wheatgrass), a non-native bunchgrass, and 2) manipulations of spring/fall or summer rainfall (whole plots). We further stratified the plots by under-plant vs. inter-plant patches. Soil C responses to long-term rainfall treatments varied by vegetation type. Long-term summer rainfall treatments significantly increased both SOC and SIC pools under A. tridentata, with total carbon (TC) pools 1.15 × ambient controls (P = 0.02). Carbon pools in spring/fall rainfall treatments significantly decreased, with TC pools 0.80 × ambient (P = 0.05) due to losses of inorganic carbon. In contrast, A. cristatum increased in SOC but lost SIC in response to both summer and spring/fall rainfall additions, resulting in no change to a slight gain in TC pools (P = 0.29). Both SOC and SIC pools in inter-plant spaces increased with summer rainfall treatments and decreased with spring/fall rainfall regardless of vegetation type. In contrast to most studies that only examine surface soils (0-0.1 m), our findings indicate that increases in cool-season rainfall will cause A. tridentata communities to become a net C source, whereas A. cristatum monocultures may become C sinks – largely due to tradeoffs between SOC and SIC pools. We conclude that consideration of vegetation type, the entire vertical profile, and both organic and inorganic C forms are imperative to predicting responses of dryland ecosystems to changing climate. This study was conducted in collaboration and cooperation with the US Geological Survey, Forest and Rangeland Ecosystem Science Center, Boise, Idaho, the US Department of Agriculture-Agricultural Research Service, Northwest Watershed Research Center, Boise, Idaho, and Stoller Newport News Nuclear, Idaho Falls, Idaho, USA with permission from the Idaho National Laboratory. Support for this research was provided in part by a grant from the Idaho State University College of Science & Engineering, a Geological Society of America Graduate Student Research Grant (#9961-12), Idaho EPSCoR RII via NSF EPS-0814387, and Reynolds Creek CZO Cooperative agreement NSF EAR-1331872 (Kathleen Lohse, Principal Investigator; Nancy Glenn, Co-Principal Investigator; Alejandro Flores, Co-Principal Investigator; Shawn Benner, Co-Principal Investigator; Mark Seyfried, Co-Principal Investigator). Data are available at the criticalzone.org data portal. Every sample associate with the Idaho National Laboratory Ecohydrological Experiment is registered with an International Geo Sample Number through System for Earth Sample Registration (SESAR). 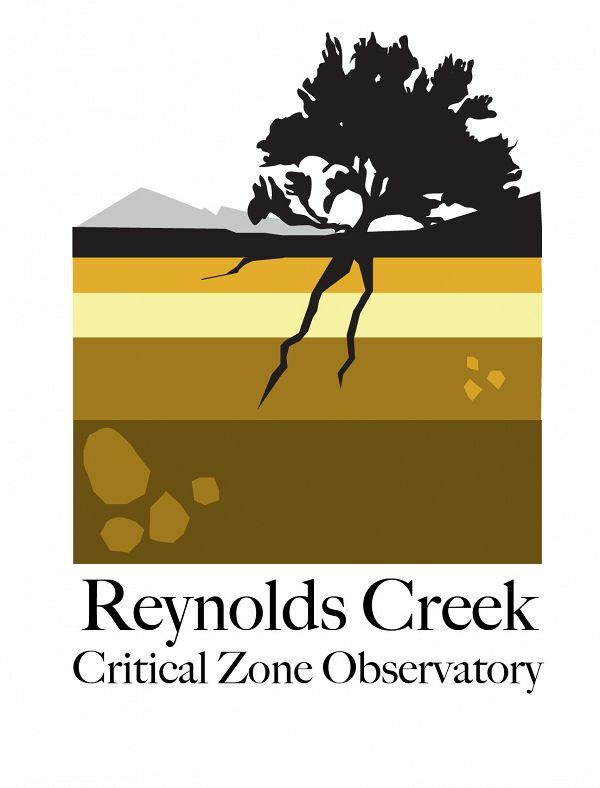 This research was performed in collaboration with the United States Geological Survey, Forest and Rangeland Ecosystem Science Center, Boise, Idaho, the United States Department of Agriculture-Agricultural Research Service, Northwest Watershed Research Center, Boise, Idaho, and the Reynolds Creek Critical Zone Observatory. Our appreciation goes out to Roger Blew with Stoller Newport News Nuclear Inc. and the Idaho National Laboratory for access and cooperation. Any use of trade, product, or firm names is for descriptive purposes only and does not imply endorsement by the U.S. Government. USDA is an equal-opportunity provider and employer. 1. Use our data freely. All CZO, USGS, and USDA-ARS Data Products* except those labelled Private** are released to the public and may be freely copied, distributed, edited, remixed, and built upon under the condition that you give acknowledgement as described below. 2. Give proper acknowledgement. Publications, models and data products that make use of these datasets must include proper acknowledgement, including citing datasets in a similar way to citing a journal article (i.e. author, title, year of publication, name of CZO “publisher”, edition or version, and URL or DOI access information. See http://www.datacite.org/whycitedata). 3. Let us know how you will use the data. The dataset creators would appreciate hearing of any plans to use the dataset. Consider consultation or collaboration with dataset creators. *CZO Data Products. Defined as a data collected with any monetary or logistical support from a CZO. BOISE STATE UNIVERSITY MAKES NO REPRESENTATIONS ABOUT THE SUITABILITY OF THE INFORMATION CONTAINED IN OR PROVIDED AS PART OF THE SYSTEM FOR ANY PURPOSE. ALL SUCH INFORMATION IS PROVIDED "AS IS" WITHOUT WARRANTY OF ANY KIND. BOISE STATE UNIVERSITY HEREBY DISCLAIMS ALL WARRANTIES AND CONDITIONS WITH REGARD TO THIS INFORMATION, INCLUDING ALL WARRANTIES AND CONDITIONS OF MERCHANTABILITY, WHETHER EXPRESS, IMPLIED OR STATUTORY, FITNESS FOR A PARTICULAR PURPOSE, TITLE AND NON-INFRINGEMENT. IN NO EVENT SHALL BOISE STATE UNIVERSITY BE LIABLE FOR ANY SPECIAL, INDIRECT OR CONSEQUENTIAL DAMAGES OR ANY DAMAGES WHATSOEVER RESULTING FROM LOSS OF USE, DATA OR PROFITS, WHETHER IN AN ACTION OF CONTRACT, NEGLIGENCE OR OTHER TORTIOUS ACTION, ARISING OUT OF OR IN CONNECTION WITH THE USE OR PERFORMANCE OF INFORMATION AVAILABLE FROM THE SYSTEM. THE INFORMATION PROVIDED BY THE SYSTEM COULD INCLUDE TECHNICAL INACCURACIES OR TYPOGRAPHICAL ERRORS. CHANGES ARE PERIODICALLY ADDED TO THE INFORMATION HEREIN. COMPANY AND/OR ITS RESPECTIVE SUPPLIERS MAY MAKE IMPROVEMENTS AND/OR CHANGES IN THE PRODUCT(S) AND/OR THE PROGRAM(S) DESCRIBED HEREIN AT ANY TIME, WITH OR WITHOUT NOTICE TO YOU. BOISE STATE UNIVERSITY DOES NOT MAKE ANY ASSURANCES WITH REGARD TO THE ACCURACY OF THE RESULTS OR OUTPUT THAT DERIVES FROM USE OF THE SYSTEM.